In the South Pacific and Caribbean, it is not a matter of IF a natural disaster will strike, but WHERE and HOW powerful it will be. Even with this clear knowledge and with vast resources at our disposal, as a worldwide yachting community we find ourselves unprepared to respond powerfully and effectively following a natural disaster. Instead of arriving with aid and medical care within the most crucial first few days, something we are more than capable of doing, we are often delayed months trying to secure and organize the most urgent aid needed. Volunteer yachts and Superyachts are the best hope these devastated remote island communities have during those first few weeks. However, we'll need to dramatically change the way the yachting community responds to them by being prepared for them, instead of reacting to them. Since 2012, Sea Mercy and our fleet of volunteer yachts have often been the first to arrive with emergency food, water, shelter and medical care at the hundreds of vulnerable remote islands in the South Pacific. Our "prepared to respond" approach in the South Pacific has reduced our response time from 45-60 days following Category 5 Cyclones in Tonga (2014) and Vanuatu (2015), to just 2 days in Fiji (2016). Our goal for 2018 and beyond is to prepare and enable the entire International Yachting Community (individually and as a whole), no matter where you are anchored in the world, to be able to respond within 24-48 hours of a natural disaster with the most needed emergency aid, water and shelter. We can't control the speed at which the international aid organizations can organize a massive response nor can we meet every need within every devastated community. However, what we can do is deliver the essential facilities and supplies that will bring their most vital medical (clinics and hospitals), educational (schools) and clean drinking water (desalination) infrastructure back online until they do. 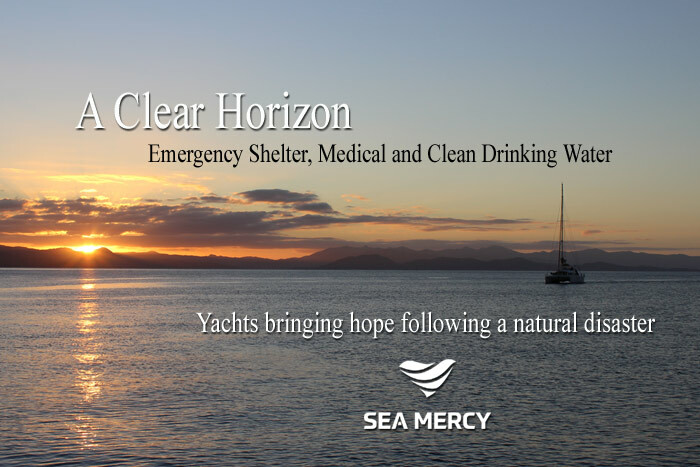 With Sea Mercy's and Western Shelter's new partnership (more info below), volunteer yachts can be loaded and ready to sail within days of a natural disaster and arriving with portable clinics, hospitals, schools, temporary housing and portable desalination units for the devastated remote island communities. Because these valuable shelters and watermakers are built to last, we never leave them behind or throw them away at the end of our response. Instead, we arrange to pick them up, ship them back home and prepare them for the next natural disaster. How Prepared Do We Want to Be? Our goal is to expand the number of prepared (staged) shelters and portable desalination units that are available to be delivered each year. Sea Mercy has two secure staging facilities committed to this program, one in Fiji for our South Pacific emergency response needs and one in the USA for Caribbean and International emergency responses. We have our 2018-2019 Prepared Shelter & Desalination goals listed below. However, our ability to reach and exceed these goals depend on the support of the International Yachting Community. 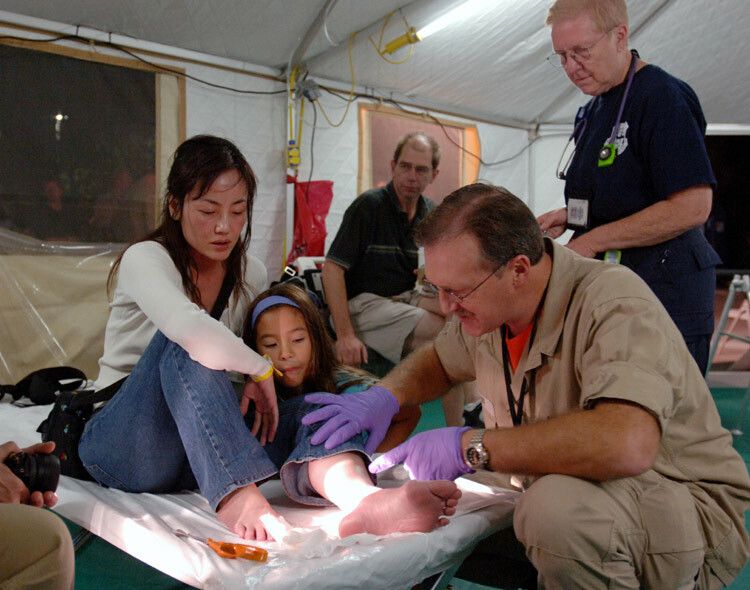 What is in our Emergency Staging Centers? To learn more about what will be available in each Emergency Staging Center (South Pacific & International), please follow the link. Please also feel free to make a financial or in-kind donation to support the development and expansion of these vital staging centers. Medical needs can range from a small surgical clinic, to a large hospital and getting them back online is vital. When the need is established, speed of setup, ease of use, and flexibility are essential to a successful response. Our Medical Shelters are proven solutions providing clean comfortable structures and the medical supplies needed to operate each facility. If needed, we can also provide additional medical personnel to support local health care personnel. 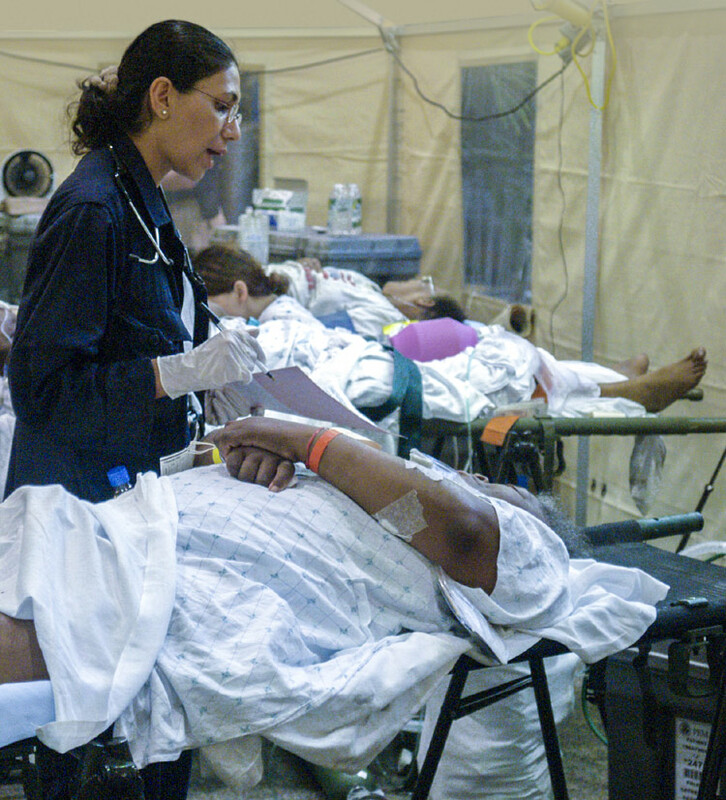 Building a field hospital isn’t just about components - understanding hospital layout, patient flow, sterilization and infection control practices are all critical to ensuring that a field hospital performs as planned every time. Educational needs can range from a single classroom, to a large school with multiple classrooms and getting the children back to a safe environment is essential to the recovery and healing process following a natural disaster. Our portable solutions are flexible, heavy-duty, comfortable, well lighted, and functional so that disasters will never halt a child’s ability to get an education. Basic infrastructure solutions, such as classrooms, are important to bringing normalcy back in to a child’s life. Remote islands need the lumber, metal roofing, guttering, and other building materials to replace a home following a natural disaster. Unfortunately, it can take several months or years for remote communities to receive the needed rebuilding materials. Our portable temporary homes can be erected in a day, and provide group communities with a durable, warm, dry and safe shelter during those difficult and challenging times immediately following a disaster. 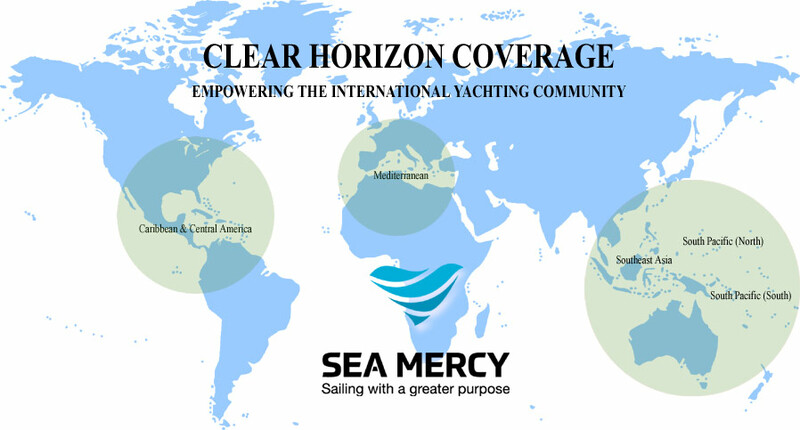 Sea Mercy's Disaster Response Fleet vessels range from small sailing yachts to massive Superyachts, so our Emergency Shelters and equipment solutions needed to load easy, transport to shore, and setup in a devastated remote community by any sized vessel, dinghy and crew. Our soft, waterproof and durable transport bags gives our smaller vessel captains the perfect solution, while our steel containers can be easily loaded and secured onto a larger vessel. Because Western Shelters are so durable and modular, all of our units are collected, refurbished and used repeatedly. They never become part of the massive 'disaster relief' waste often left behind on the islands following a disaster. Our goal is to give the International Yachting Community the ability to respond quickly when a disaster strikes and then to leave a minimal footprint behind when our shelters are no longer needed. Western Shelter Systems has been supporting life in the face of adverse conditions since 1988. They are dedicated to building the most durable shelters and field support systems in the market. Serving as the exclusive supplier of shelter systems to FEMA, they have responded to every major disaster around the world for nearly 30 years. Whether establishing a medical clinic, building a school, or any other application - Western Shelter has been tested – and proven reliable in the toughest environments on the planet. Financial & In-Kind Donations Needed! Please use the below Donate button to make donation to help support and complete our Emergency Staging Centers goals and enabling our First Response Fleet vessels to respond within 24-48 hours to any natural disaster. If you or your organization have In-Kind donations, please Email Us to arrange shipment and tax receipt (Sea Mercy is a USA, Fiji and Australia approved non-profit charity). Thank you. What's in our Emergency Staging Centers? To learn more about what each Emergency Staging Center (South Pacific & International) will have available, please follow the link.